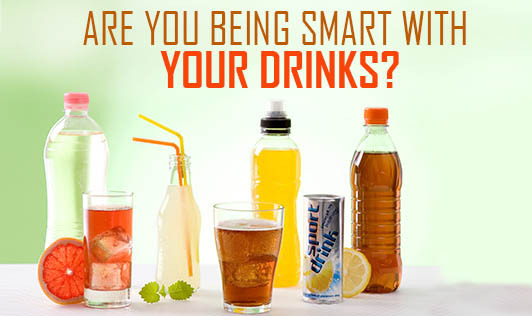 Are you being smart with your drinks? Most of us are strict with our diet, but sadly fall prey to frozen drinks, cocktails, and alcohol. Did you know that just one drink alone can cost you up to 45 minutes of exercise on the treadmill? One of the ways alcohol affects weight management and weight loss is by affecting the body's biochemistry. It reduces the body’s fat metabolism by as much as 73% which is quite a lot of compromise. And when sugar mixes are added to alcohol, the calories increase causing the body's metabolism to slow down significantly. The key to being a smart drinker lies in the choice and amount of alcohol you consume. Remember that moderation is the key. Do not consume more than 2 drinks per night, not more than 2 nights a week. Select drinks with clear alcohol like vodka, tequila, or rum. Select low-calorie mixes like lime or lemon, a squeeze of fresh orange juice, a fresh sprig of mint, or soda water. If you must have cocktails, here are a few concoctions that are 120-130 calories, that you can try. 1 shot of vodka, juice from half a lemon, 1/4 shot of Cointreau, a sprig of mint leaves, and ice. 1.5 ounce of silver tequila, 0.75 ounce of grape juice, a splash of fresh lime juice, and 2 slices of jalapeno. ¾ ounce of grass-flavored vodka, 2 ounces of rose wine, splash of grapefruit juice and soda water.